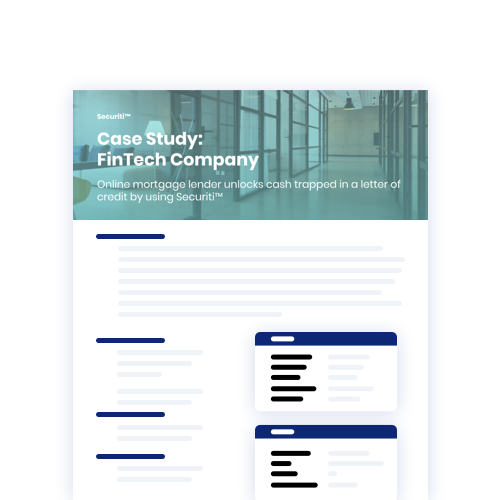 Our client, an established FinTech company, with over 10+ years of operating history (“tenant”) moved their headquarters to a Class A landlord portfolio. The multi-million dollar security deposit required by the landlord represented a significant opportunity cost. With Securiti™ the tenant was able to put in place a lower cost solution that freed up capital, expanded the borrowing base, and lowered fees.